4 ounces Eden Dried Cranberries, 1 pkg. 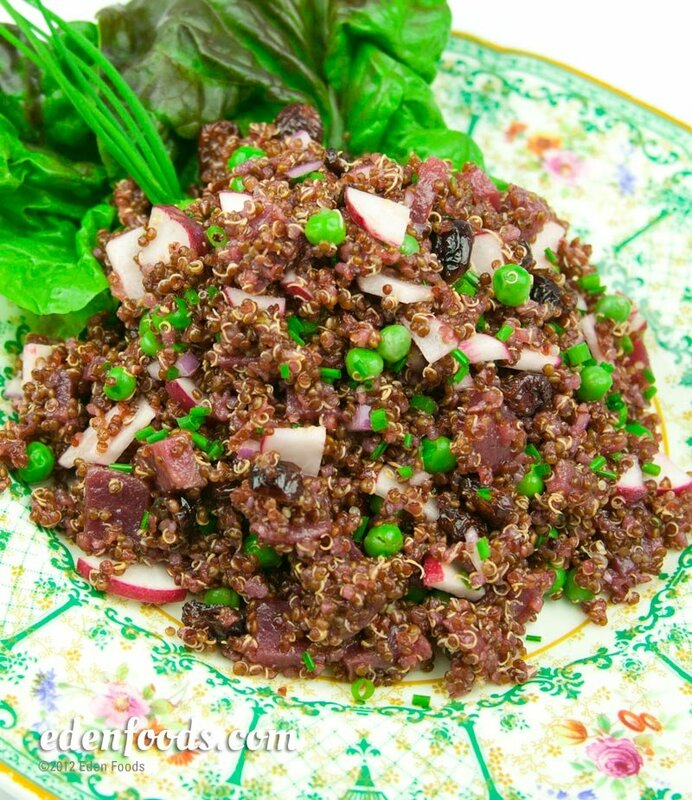 Cook quinoa together with the beets in water according to package directions. When done, cool, toss with all remaining ingredients and serve.